Sofia Wadensjö Karén, Managing Director of the Swedish Educational Broadcasting Company and 2018 Alumnus of the Year at Uppsala University. 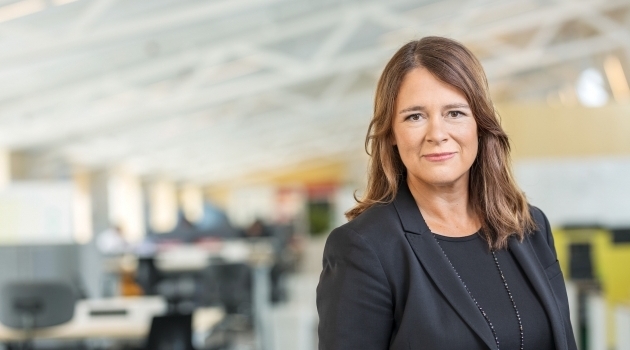 The Alumnus of the Year distinction is being awarded this year to Swedish Educational Broadcasting Company Managing Director Sofia Wadensjö Karén. After receiving a Bachelor’s degree in Literary Studies and Swedish at Uppsala University, she trained as a journalist and has long occupied a prominent position as a publicist in journalism. For seven years she was Managing Director and Editor-in-Chief of Vi magazine. Each year Uppsala University presents the Alumnus of the Year distinction to a former student who has made “outstanding contributions in their career or achieved other noteworthy accomplishments”. This year the award goes to Sofia Wadensjö Karén, Managing Director of the Swedish Educational Broadcasting Company (Utbildningsradion). “Considering how many students start their career path at Uppsala University, I am of course appreciative and honoured to be recognised in this way,” says Sofia Wadensjö Karén. Wadensjö Karén studied literature at Uppsala University and received her Bachelor’s degree in 1995 before continuing her journalism training at Stockholm University. She subsequently worked as a journalist at the Laholms Tidning and Södermalm newspapers and at Aftonbladet. As the publisher of Vi magazine from 2011 to 2018, she reversed the publication’s decline in subscriptions and made it successful. In 2017 she received Sweden’s major magazine award with the explanation: “...This year’s award winner serves as an inspiration by fighting with high credibility for free independent journalism and by generating new business opportunities for the magazine industry...”. In the spring of 2018, Wadensjö Karén became the Managing Director of the Swedish Educational Broadcasting Company (UR). For a number of years, she has been Board Chairperson of the Swedish Publishers Association and is now UR’s representative on the Board. During her years as a student at Uppsala, Wadensjö Karén was actively involved in student life, especially in the Värmland nation student organisation, where she was editor of the its magazine, Wermlandus. For many years she was a member of the student organisation’s publication series committee, and she was also one of the main editors of the 350-year history of Värmland nation. On 19 March 2019 Sofia Wadensjö Karén will present an open lecture in connection with the award.